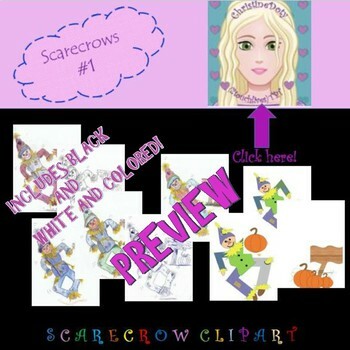 Scarecrow Dancing Clipart 1- Includes 9 clipart pictures that you may use for use in your classroom or when making products. I would just ask you give me a shout out at https://www.teacherspayteachers.com/Store/2touchlives. They include various colored scarecrows, but if you don't want to print in color I have included a black and white one as well. Thank you for shopping at my store!